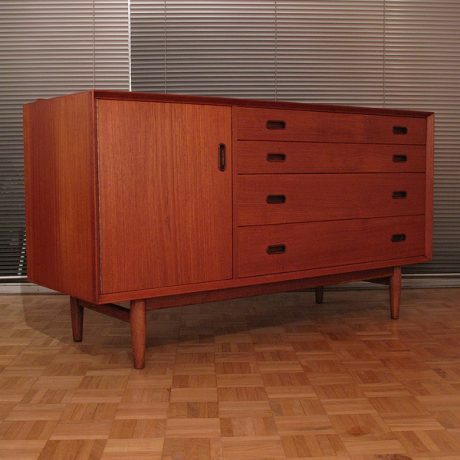 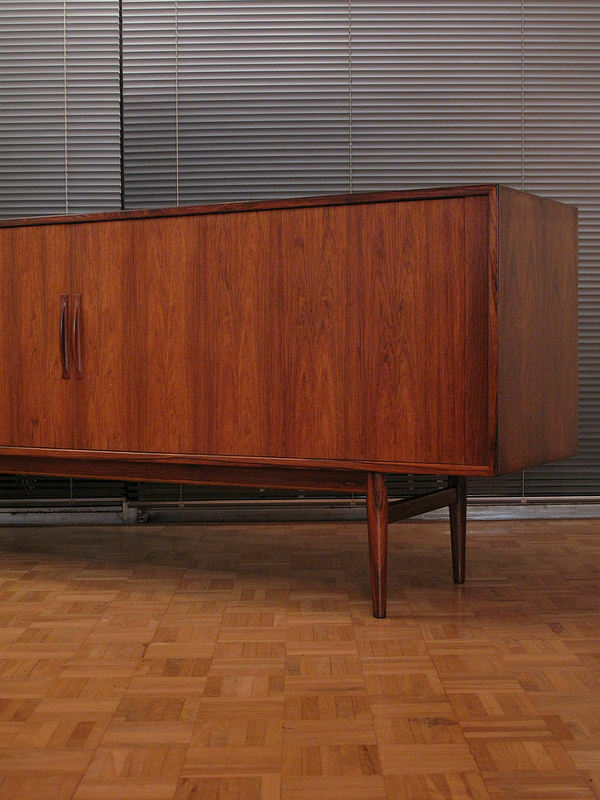 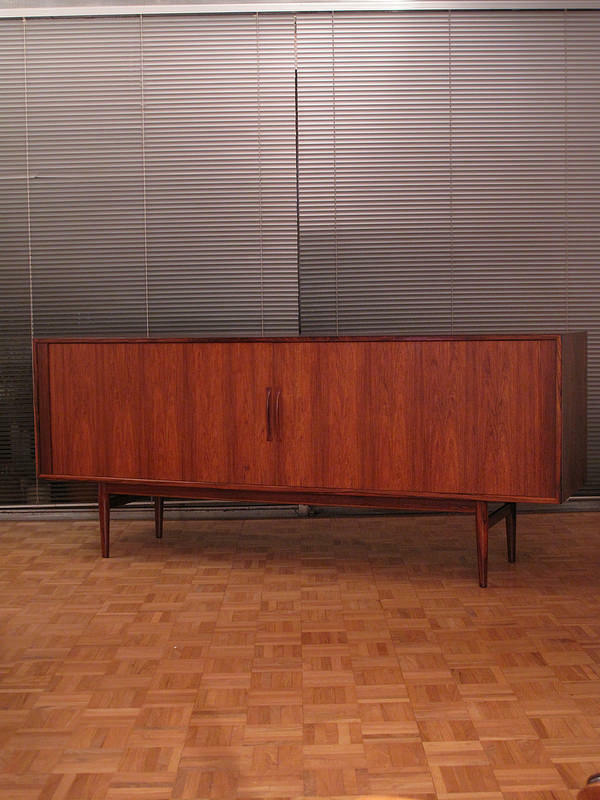 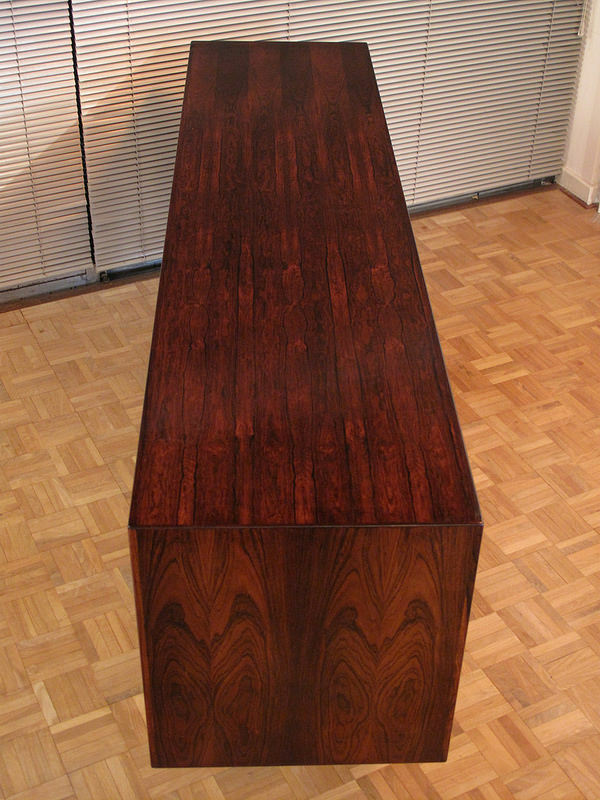 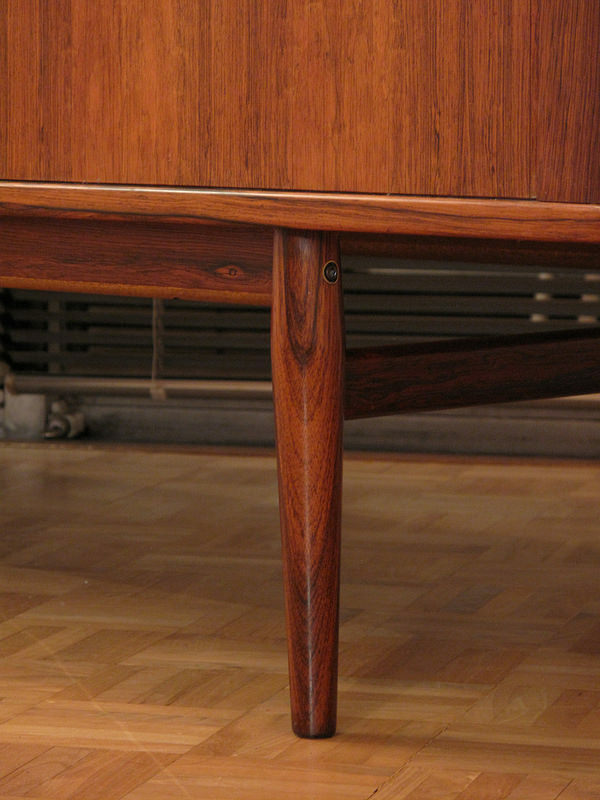 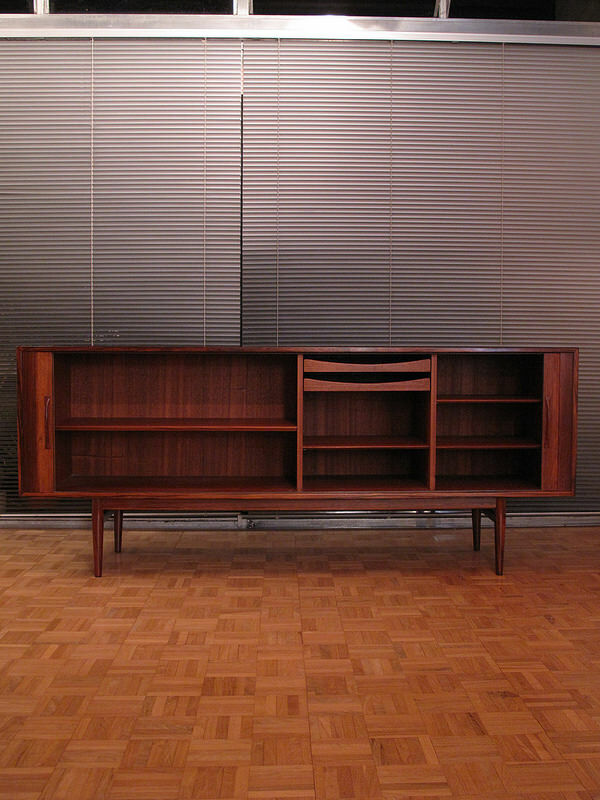 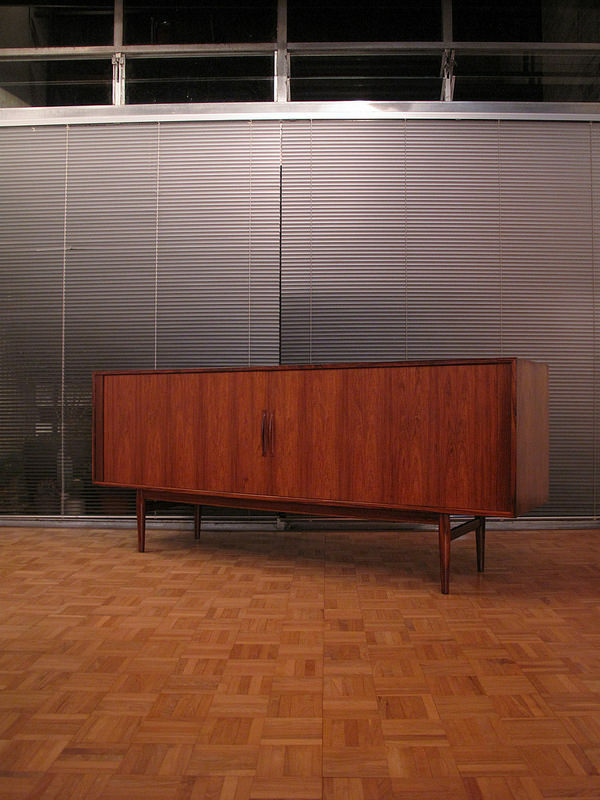 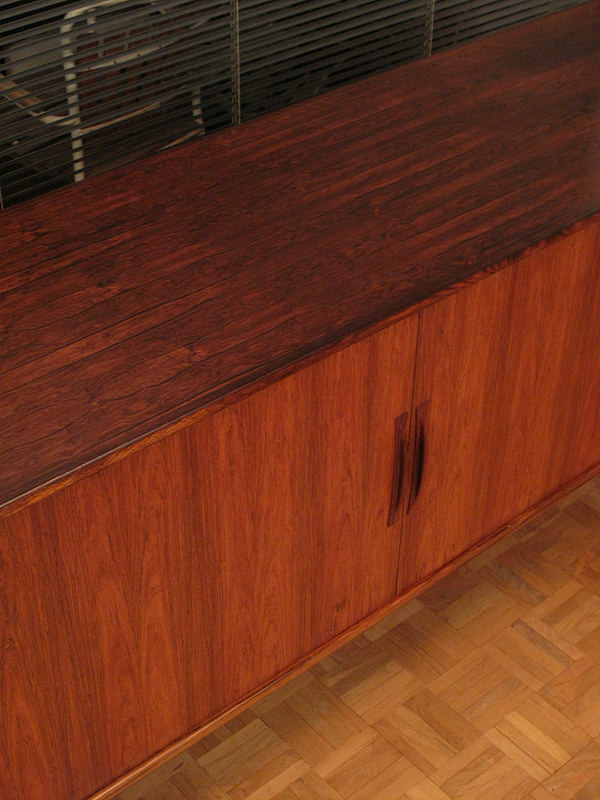 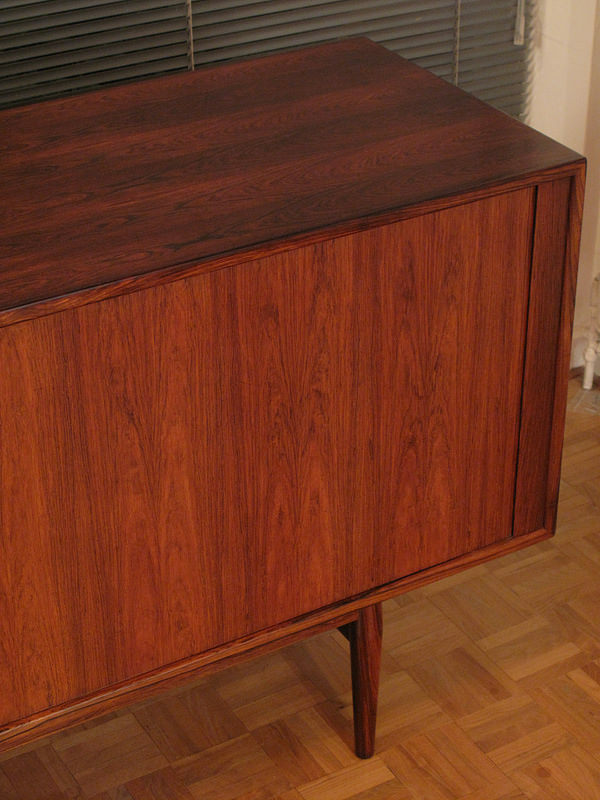 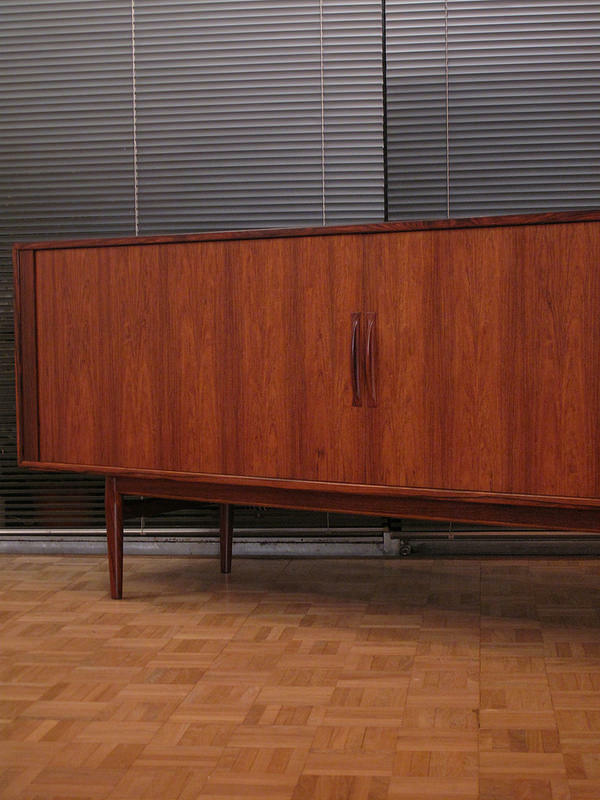 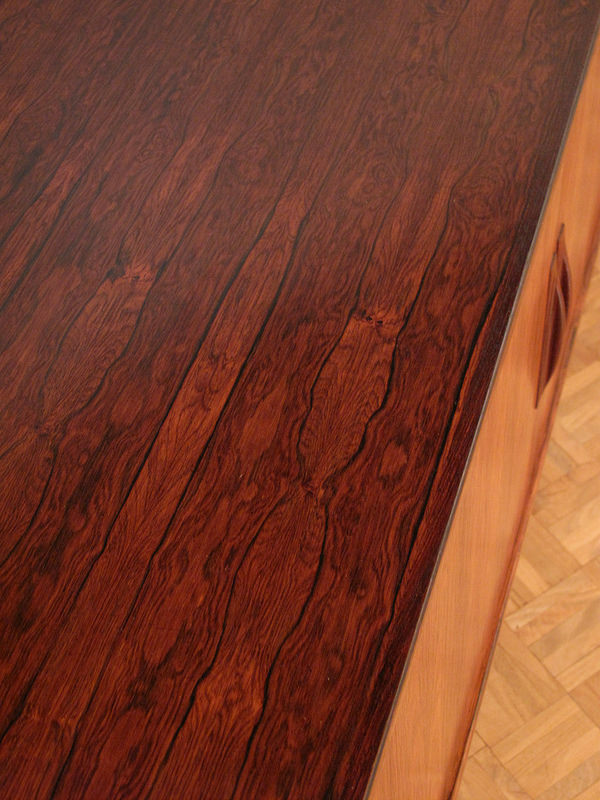 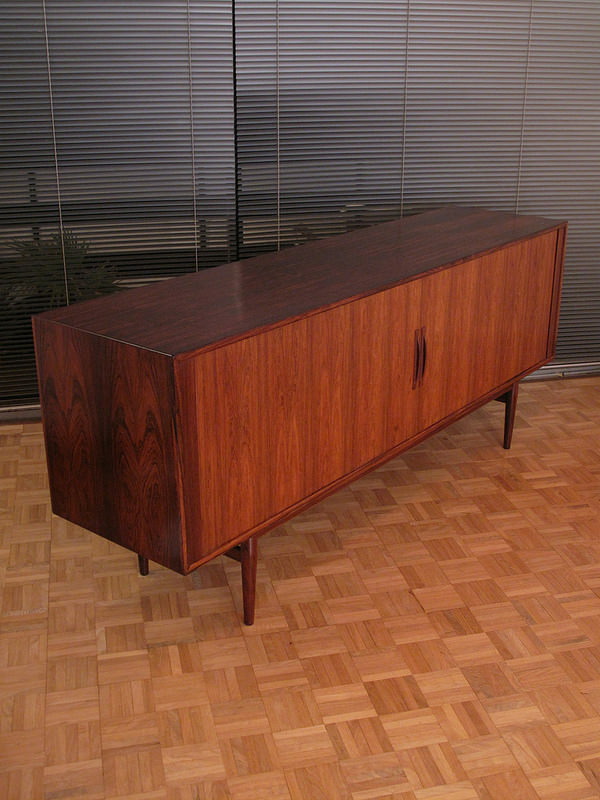 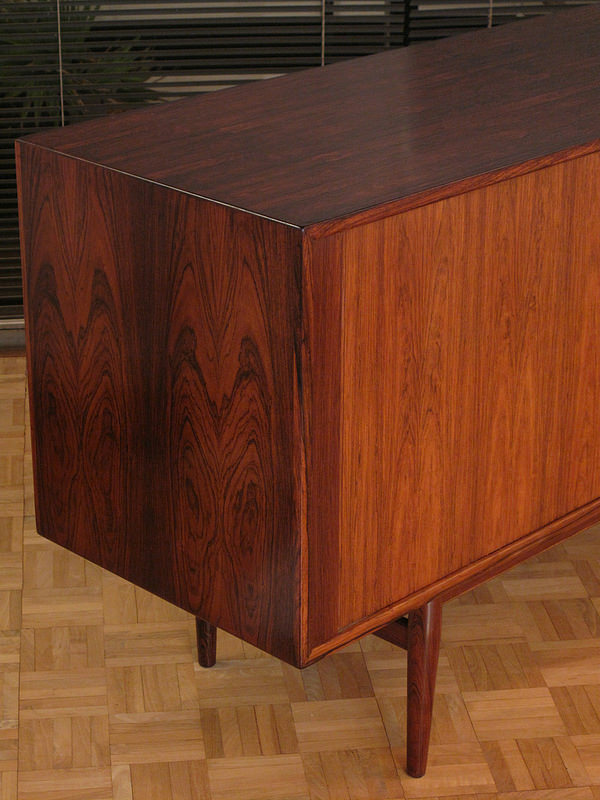 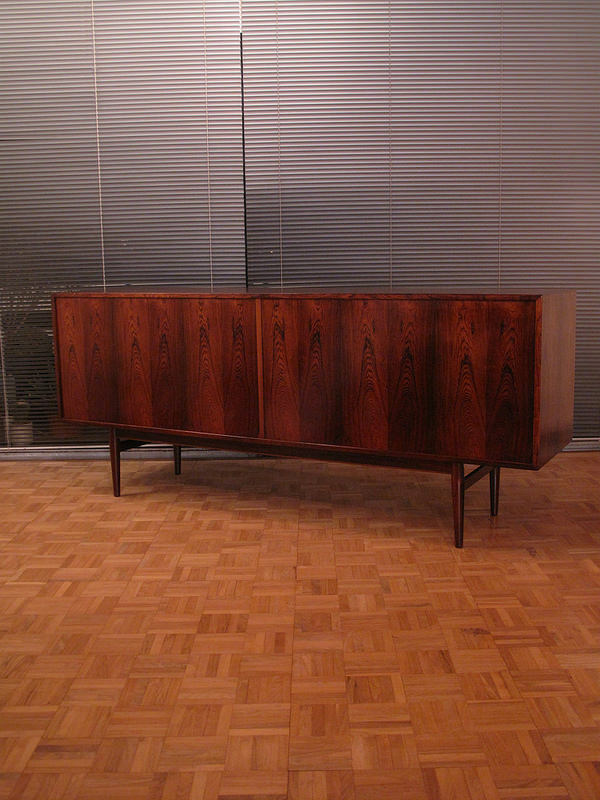 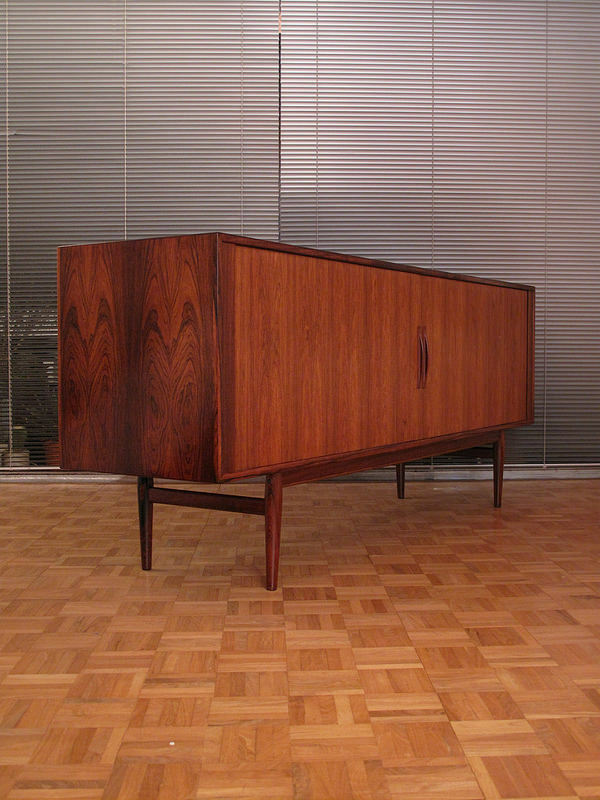 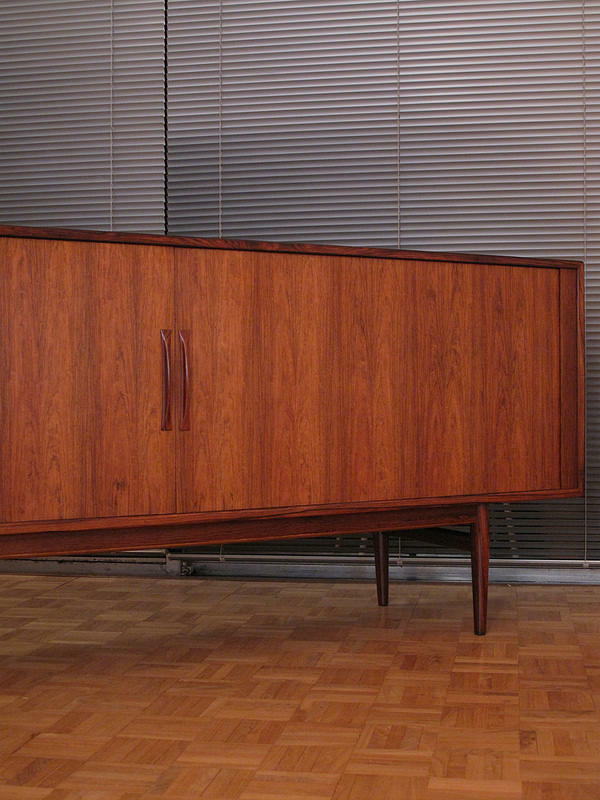 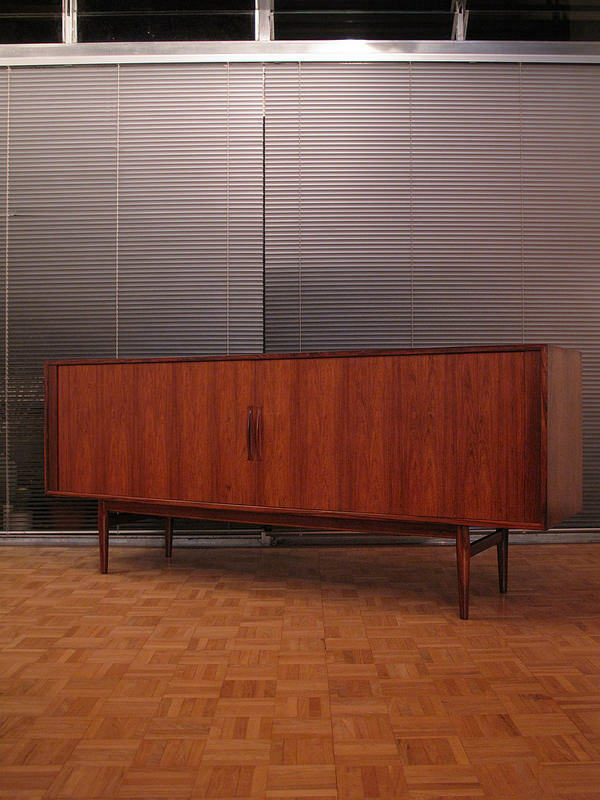 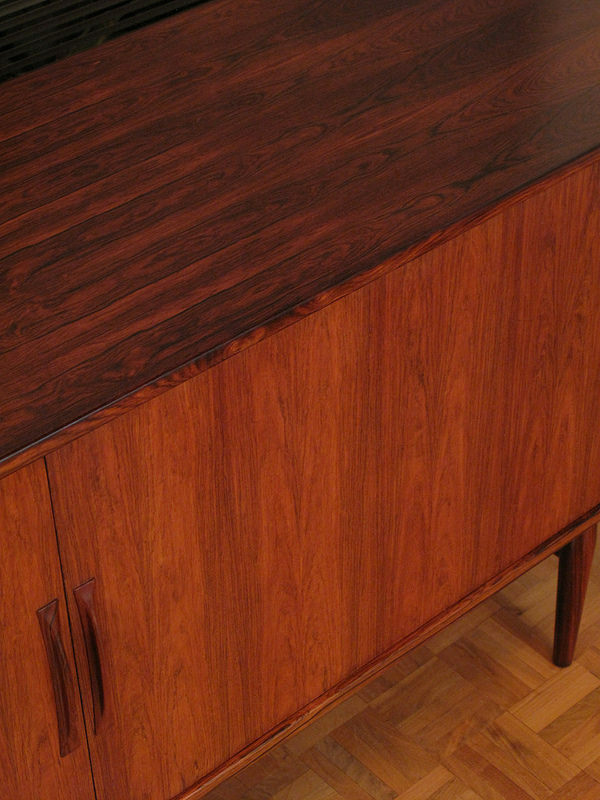 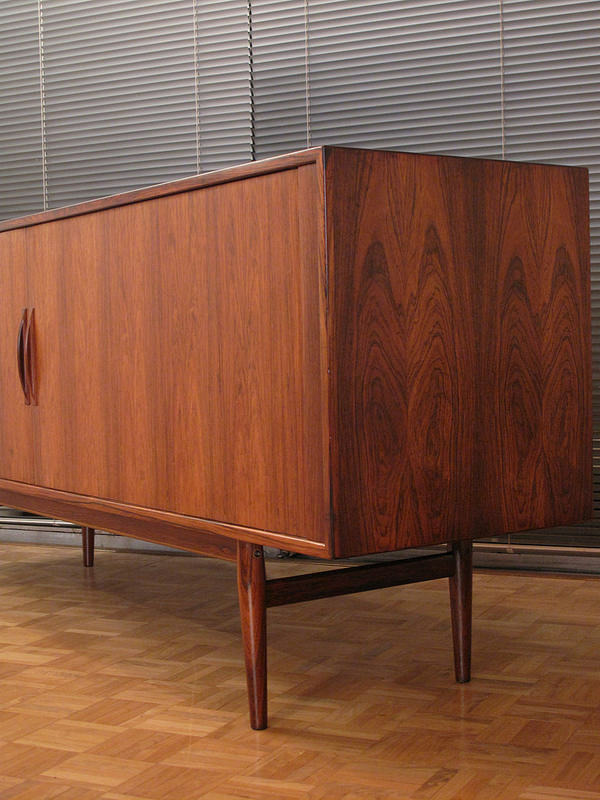 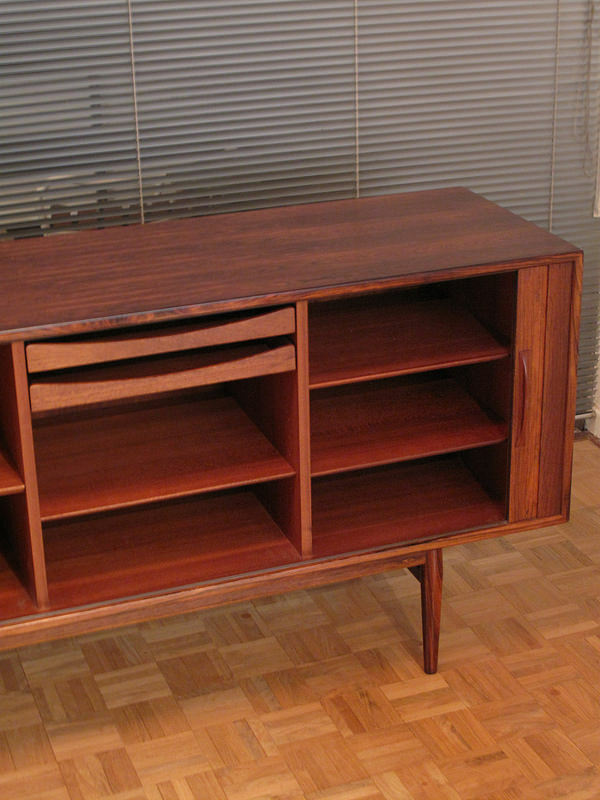 A very hard to find Model 75 Brazilian rosewood sideboard drafted in the late 50’s by one of the most respected and collectable sideboard designers Arne Vodder and produced by P.Olsen Sibast. 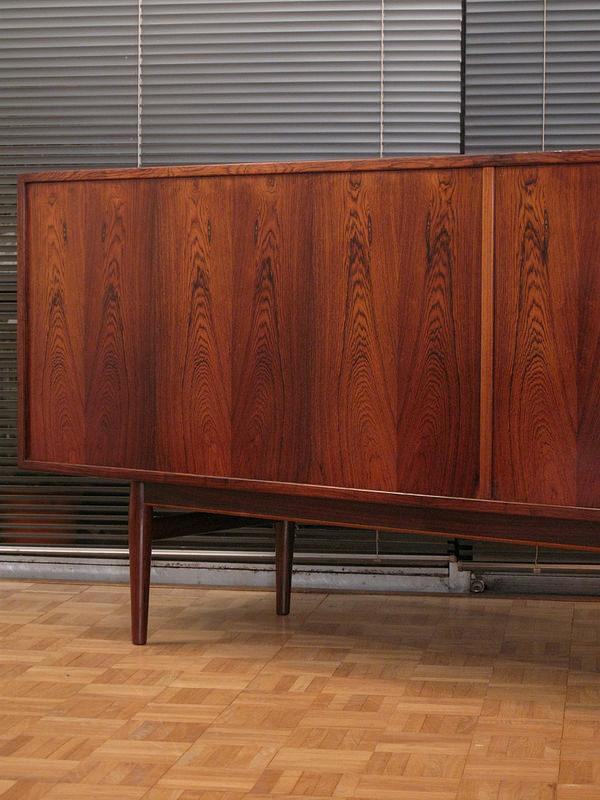 This sideboard features beautifully crafted tambour doors exhibiting exquisite door pulls. 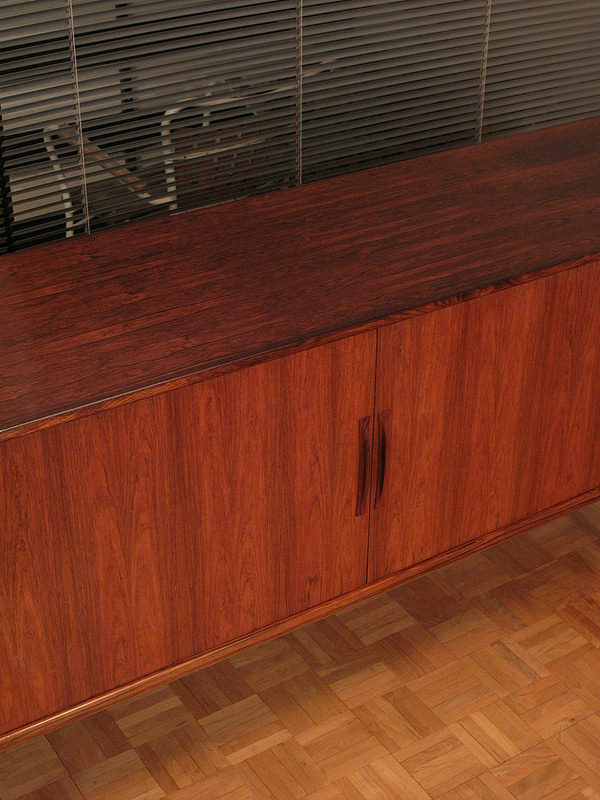 To the inside are two shallow drawers and three height adjustable shelves. 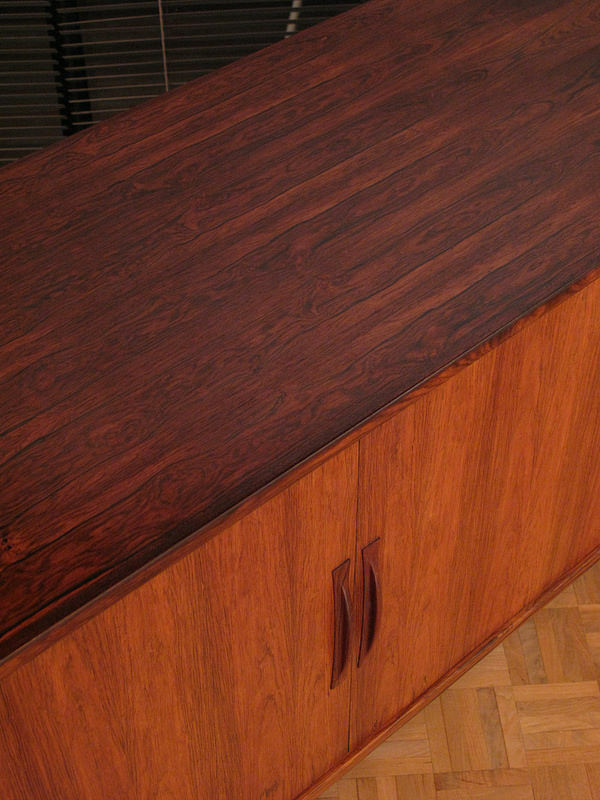 It is also finished on the back with wonderful rosewood veneers allowing the piece to be used free standing as a room divider. 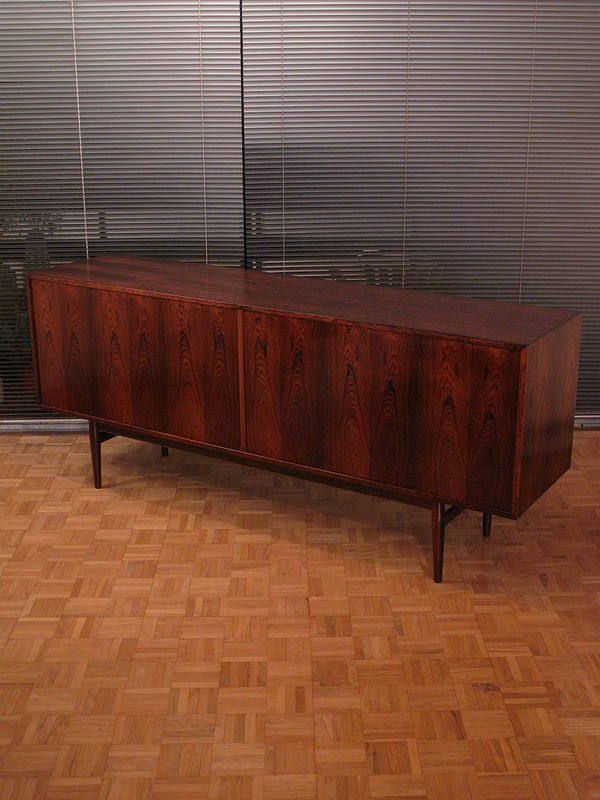 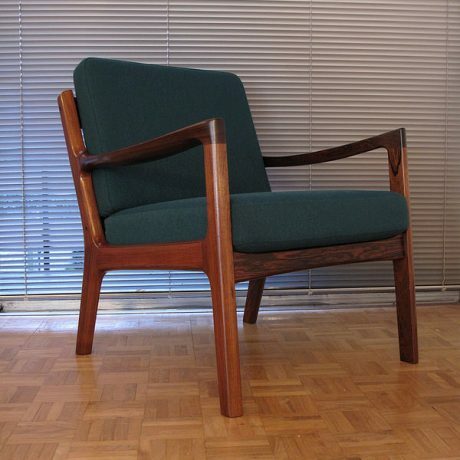 The dimensions of this example are particularly pleasing being low and not overtly long making it easy to accommodate. 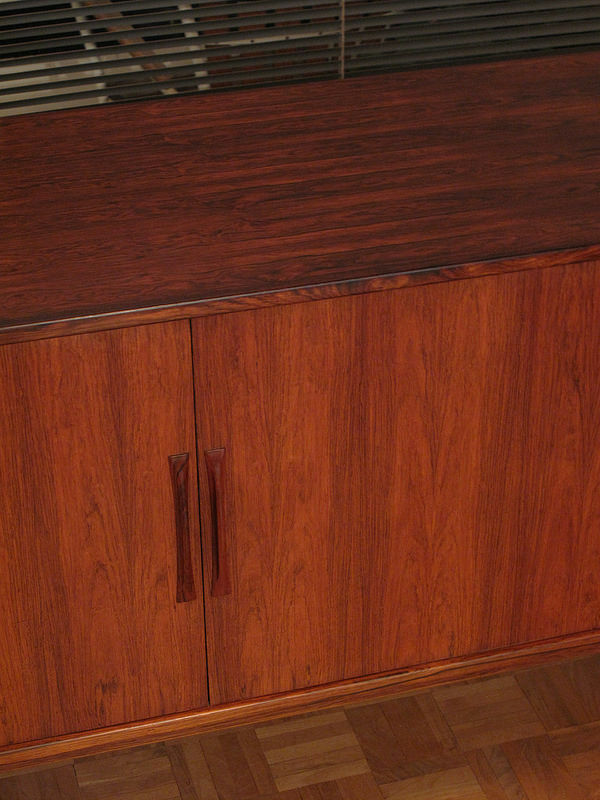 Please note our studio lights tend to illuminate the doors giving the impression they are a different colour than the rest of the carcass, this is not the case when viewing in person with a nice even colour tone. 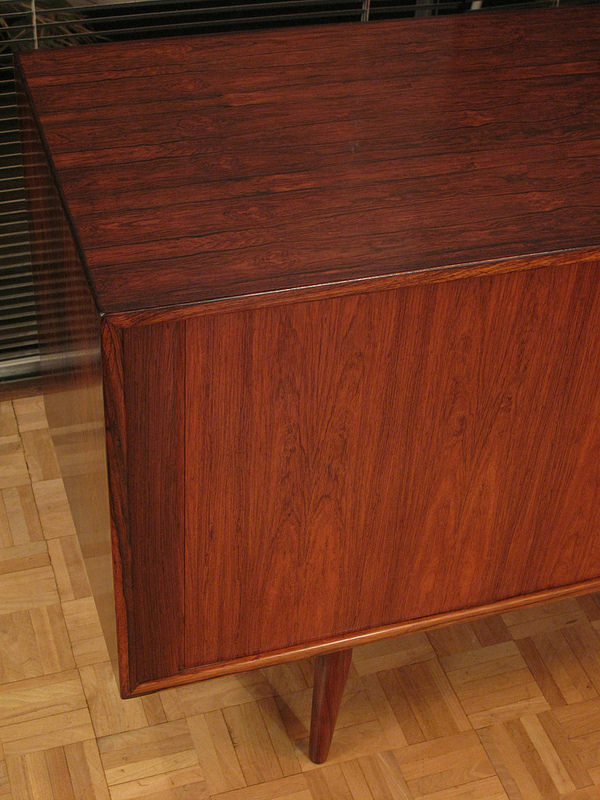 PRICE: SOLD ANOTHER COMING VERY SOON.